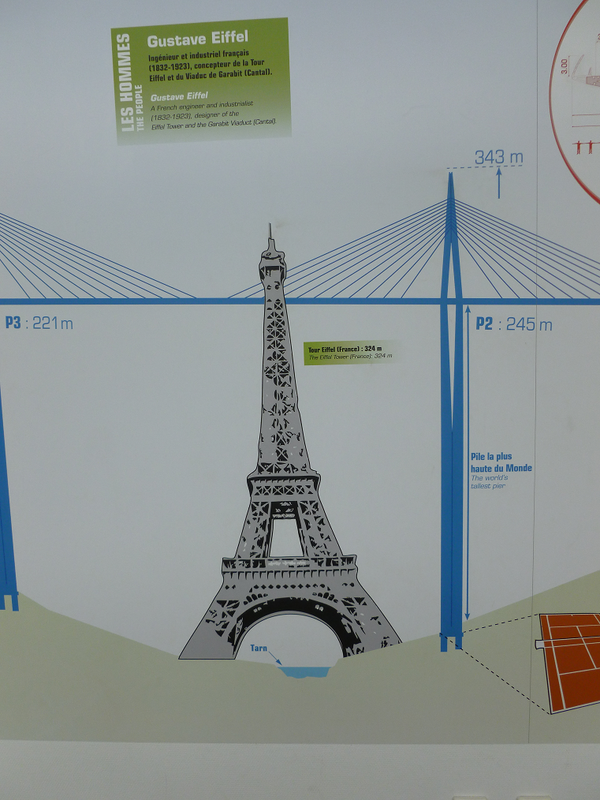 The Millau Viaduct: The World’s Tallest Bridge! 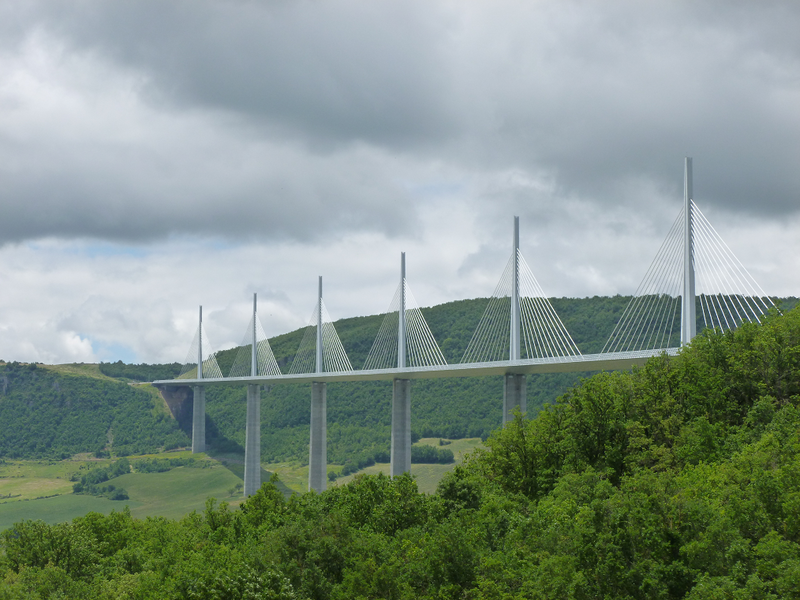 One site that I visited was the Millau Viaduct near the charming city of Millau. The Millau Viaduct is the world’s tallest bridge (270 meters or 890 ft), and it’s absolutely amazing. The two visitor centers detail the engineering feats that went into its construction, which took just 4 years to build. 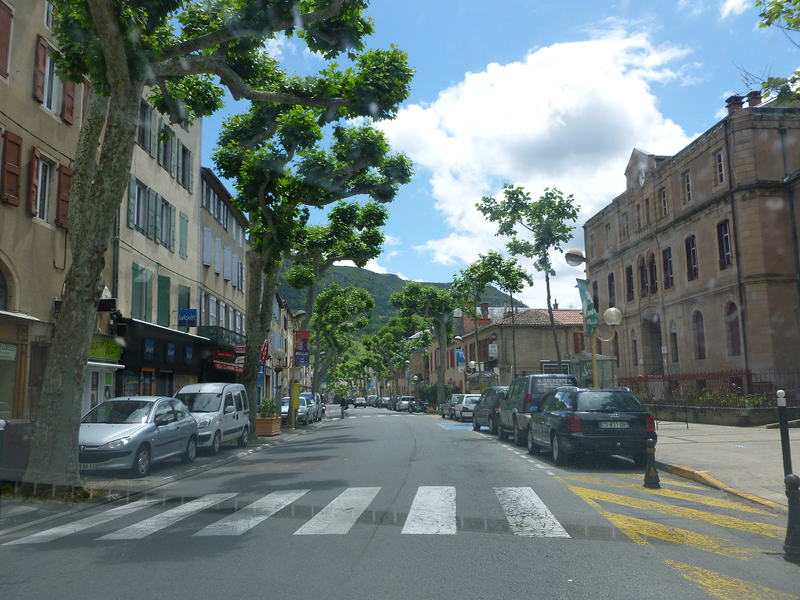 The surrounding countryside and the city of Millau reminded me of Switzerland. All that was missing were the snow covered alps. On the negative side, my plane ride was less than ideal. Air France has succumbed to the nickle and dime approach to revenue generation. My ticket (not cheap) did not permit a checked bag and my total carry-on items were subject to a 20 kilo weight limit, which Air France strictly adhered to. I was stopped two times on my way to the boarding gate to have my bag and small satchel carefully weighed (11 kilos). Now, This is a Business Class Lounge! No one disputes that air travel isn’t what it used to be. It seems there’s been a race to the bottom among the US airlines in providing comfort and service to its customers. In the past, when I had the opportunity to visit a Business Class Lounge, it was a real treat; but these days, the Business Class Lounge offers little more than coffee and a few mediocre snacks, at best. Sure there’s Wi-Fi (if it’s up and running), and it’s sometimes a quiet refuge from the chaos of the airport, but it sure isn’t plush. On the other hand, if I ever have the opportunity to visit Istanbul, I intend to fly on Turkish Airlines and splurge for Business Class-just to visit the lounge. 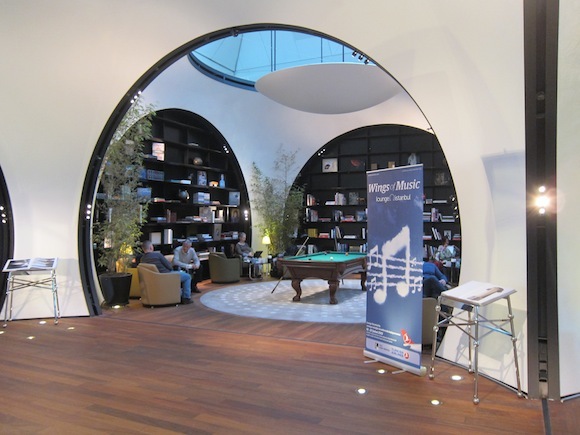 According to many frequent flyers, the Istanbul Business Class lounge is the best in the world. With phenomenal food, open bar, first class business center, kids play area, quiet room, and even billiard tables, Turkish Airlines knows how to make travel enjoyable. In addition to the wider seats, the extra leg room, the better food and service, one of the biggest advantages in traveling business or first class is not having to worry about work, the house, or the family. You’re 30,000 feet in the air, away from everything! For a few hours, you’re free from the mundane. If you want coffee, a snack, or just an extra pillow, just ask, and it’s yours. For me the comfort and ease of traveling business (or first) class is worth the extra dollars. Perhaps, my attitude about traveling business class is best reflected in the wonderfully humorous novel and film, Travels With My Aunt. In the book, Aunt Augusta proclaims to her earnest and proper nephew, “[t]he difference between first and tourist class is wiped out by the champagne and caviar.” (Perhaps, a bit of an overstatement these days. And do the airlines still serve caviar in first class?) As Aunt Augusta reflects on her rather extraordinary and unorthodox life, she wisely notes that “sometimes the journey is more enjoyable than the destination.” I have to agree. Some of my most memorable experiences have occurred while on the journey.